Now kids can take home the excitement of the WWE® and its ultimate badge of honor — the WWE® Championship! Show off your title with these championship belts — just like the ones worn by your favorite WWE Superstars. This trophy item comes with authentic styling, sleek metallic medallions, a leather-like belt and a one-time adjustable feature to fit around the waist of any child eight years or older! Each regal championship in this series is designed to resemble the ones worn and proudly flaunted by your favorite WWE® Superstars. Collect all your favorite Championship titles. -ONE FREE official WWE trading card is bundled with this item. The card is randomly inserted (may be inside the product packaging), and there's a chance to receive a -valuable rare card! If you return this item, the trading card must be returned. -WWE is here! 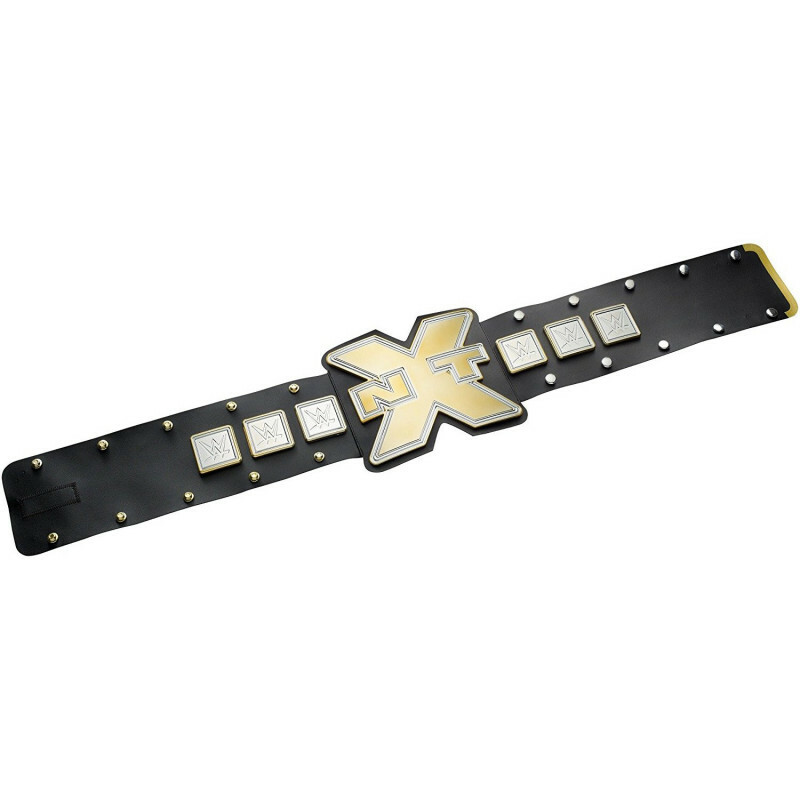 Bring all the action home with this series of officially licensed WWE Championship Belt! -Features leather-like belt with adjustable waistline to fit kids eight years or older.